Bipper’s Usage Control, Safety and Localization allow parents to ensure the security of their children and always keep in touch. WHEN the child can use the phone. Bipper Safety is an alarm function which the child can easily activate from the mobile. When the alarm is activated, up to five pre-selected contacts are dialled until one answers the phone. All contacts from the alarm list will also receive an sms, informing what time the alarm was activated, as well as a link to a map showing the kid’s location. Bipper also allows parents to locate their kid on the basis of a regular schedule or an immediate need. However, the solution serves as a localization tool, not a tracking device. It can be used for sporadic positioning rather than continuous monitoring. Bipper’s three main services – Restriction, Safety and Location, can be easily administered from our web portal myBipper, where parents can also create networks and share information with other parents. We have strived to make MyBipper a user-friendly solution with a simple, self explanatory user interface. Since most parents are concerned with their kids’ digital life and safety, the portal will offer an engaging and informative news pages, where a wide range of relevant articles and reports will be available. We always keep you informed! Why mobile parental control? Why Bipper? Many parents are worried about the negative consequences mobile phones can have on children, such as enormous phone bills, contacting strangers, and mobile bullying. We have addressed parents’ needs when designing Bipper. This should come as no surprise since our services have been developed based on our own needs as parents! With Bipper, parents can give their child a mobile phone, knowing that they it will provide the safe and basic communication they are looking for. At the same time, it allows them to actively take part into their kids ”mobile lives” by deciding how the phone is being used through their own private web-portal, MyBipper. 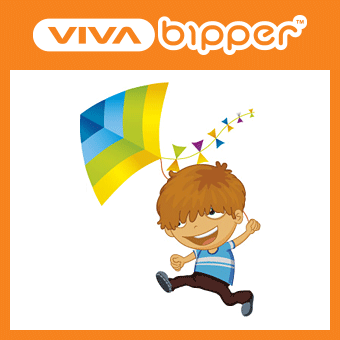 Sirma Mobile is running bipper service in Bulgaria with Vivacom mobile operator. Check out bipper.bg for more information. BipperSim is a easy to install, affordable product that provides majority of the child control features and ensures tracking with reasonable accuracy. It is working on a SIM level without the need of a network operator change. It is operator neutral and operator independent. 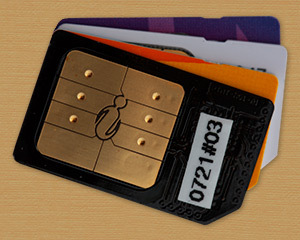 Major advantage of the technology is that it is inexpensive for the subscribers and since it is a SIM based technology it is device independent. BipperSIM is based on Motorola iSIM platform.